POSTS Star Trac Spinner Review. Which One is Right for You? Spinning is something of a fad right now. That has led to a bit of a boom in spinning machine manufacturers. Some of these are more trustworthy than others. You can probably put some stock in the Star Trac name. If you google “Star Trac,” you’ll find a lot of retailers, but it’s harder to find their homepage. That’s because Star Trac is owned by Core Health. 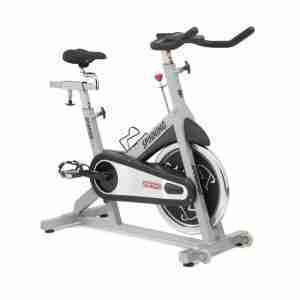 This company also owns Schwinn, Nautilus, and Stair Master, some of the most trusted names in health. You can trust the Star Trac name, but you might not need one of the newest and most expensive models to get the workout that you need. Newer Star Trac models are great for advanced athletes and people who are really devoted to achieving or maintaining a high degree of health. They may be more than a casual cyclist needs. That doesn’t mean that you should turn away from the Star Trac name. Older models are still out there and are still worth looking into for people with more modest means and requirements. 5.2 Where does the Water Bottle go? All of Star Trac’s spinning bikes come in parts to be assembled. Many reviewers have said that the spinners are fairly easy to assemble. If you have trouble there are youtube tutorials to guide you through the process. All of the bikes have water bottle holders. In the case of newer models, the water bottle holder is optional. Instead of a water bottle holder, you can get a computer screen. This has some clear advantages but it also means giving up your water bottle holder. None of the Star Trac bikes store very well. They all have wheels mounted to the frame so if you can manage to tip it forward you can shove it around a little bit. For the most part where you put your bike together is probably where it’s going to stay. That’s especially true considering all of the machines weigh over 100 pounds. 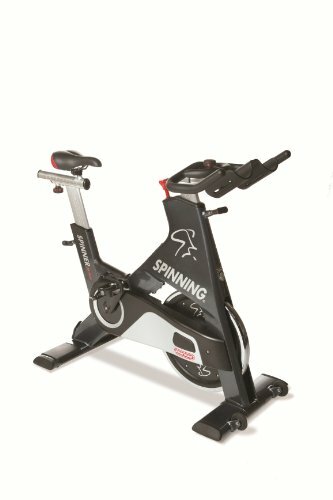 Right now the spinning cycles available through Start Trac are all part of the Studio Series. There’s the Studio 3, the Studio 5, the Studio 7, and the Studio 7 “Candy Apple Red.” All of these models are made out of stainless steel with corrosion resistant finishes. This material leads to the long life but also contribute to the weight. Every bike in the Studio Series weighs over 100 pounds. That weight isn’t for nothing, however. Each bike can support a user weighing three-hundred pounds or more, depending on the model. That would be a lot to take on for a cheaper machine. Members of the Studio series have a number of additional features. These features range from the basic to the advanced. All models have one or two water bottle holders. This feature is important for long or intense workouts but is often neglected in cheaper models. Each model comes with the option of a small computer and a display screen. This system is used for assessing and relaying information on your workout. This information is helpful for continually improving your routine. The computer can’t be used to set your workout or save custom workouts like the computers in some other stationary bikes. It can calculate valuable metrics including heartbeat and calories burned, workout time, distance traveled, and revolutions per minute achieved. Resistance can be adjusted easily and smoothly as you go. For me, having a computer on the bike that doesn’t allow for a dynamic exercise seems like a waste. When I use spinning machines I like to use the settings that change the resistance up and down so it feels like you’re going through the mountains. I know that you can do this manually with the Studio Series, but somehow it’s not the same. The Star Trac Spinner Pro is no longer being pushed by the company. You can still get them new or used for a fraction of the price of the newer Studio series. The weight is similar to the bikes in the Studio series, as is the weight capacity. Some of the construction specs are a little behind, so the ride may not be as smooth. This bike is still a bargain for people who aren’t willing to pay almost twice as much for one of the Studio series. Users of this product online have complained that Star Trac support isn’t always very helpful with issues like damages during shipment. According to reviewers, because Star Trac sells through distributors they don’t like to deal with shipping damage. On the upside, users were happy with the easy assembly and adjustments to the bike. 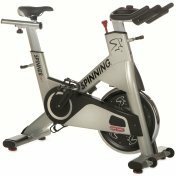 The biggest potential downside to the Spinner Pro might be that it isn’t compatible with the Star Trac computer like the Studio Series bikes are. The computer is nice but since it can’t be used to program your exercise, most fitness apps can do everything the computer can. A heart rate monitor, a basic fitness app, and a used Spinner Pro still won’t set you back as much as a new bike from the Studio Series. The Star Trac NXT has been around for a few years now. Buying it online is cheaper, but a little more dangerous than it used to be. This is partly because the frame on the NXT is made from aluminum rather than steel like newer models. That means the bikes are more likely to have a few dents and dings. Many reviewers say that their bike came with a couple of issues. Reviewers of this bike online have complained of some issues with the delivery. And keep in mind that Star Trac isn’t known for its service. Expert reviewers have also stressed that this is still a quality machine that can be bought at a steal of a price these days. More reviewers also commented on this particular model that it is very easy to assemble. The take away for this machine is that it’s a good price for a good product, but you need to be careful with ordering online. 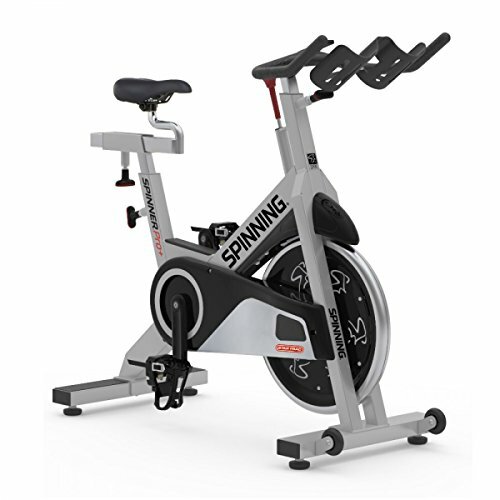 The Star Trac Spinner Velo Bike might have the best customer reviews of the older Star Trac models. This might be why it’s so hard to find. If you want a Velo after reading this article, you might have to watch sights like Amazon and eBay and wait for one to turn up. There are no complaints about damage. This is strange considering the design is less industrious than that of later models. The weighted flywheel is about ten pounds heavier in the Velo than in later models. This has its advantages but makes the Velo slightly more difficult to put together and use. Some users also had problems with the pedals coming loose. This can lead to stripping the threads on the crank arms, which then need to be replaced. The good news is that crank arm replacements for the Velo are pretty easy to find and are reasonably cheap. Problems with the crank arm can be prevented by checking every now and again to make sure that the pedals are on tight. That can be a bit of a nuisance but isn’t too much to ask considering the bike is otherwise pretty sound. Speaking of sound, some users have also mentioned that the Velo makes more noise than other spinners. This too is a pretty minor issue. More reviewers point out with this model than any other that having a Star Trac cycle is having a gym quality machine in your home. This is an interesting assessment because the bike isn’t compatible with the Star Trac computer system. I’m used to some form of a computer system on gym machines. Maybe I just have a good gym. Where does the Water Bottle go? On this model, the water bottle holder is on the main frame between the legs rather than near the handles where it is on later models. Reviewers of the bike don’t seem to mind, but it could be an annoying trade-off. After all, there is no computer between the bars like on the Studio series. There’s also no form of tablet stand. None of the other models have one, but without the water bottle there, it just seems like wasted space. The Star Trac Blade is from back in Star Trac’s aluminum body phase. There are still complaints about body damage, which is disappointing considering this is one of the more expensive models out there. It certainly appears to have a more industrious design than older and cheaper models like the Velo. The Blade starts to have more modern touches. These include the micro adjustments and dual water bottle holders that are integral to the Studio series. The blade isn’t advertised as being compatible with the Star Trac computer, but at least one user says that they made it work somehow. The lack of the optional computer mount was probably the least of their troubles, but it would seem that you could rig something up wanted. Even the older Star Trac models are coming down in price. 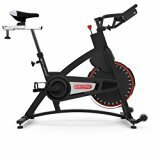 These may still be a bit expensive for the hobby spinner, however, have a look to our article for the Best Exercise Bikes Under 200. The newest models have a lot of bells and whistles but they certainly come at additional cost. It must be up to the individual to decide if these upgrades are worth it. Personally, I figure that if you have some apps and hardware from your other exercises and a shelf nearby that you can put your water bottle on you could save some money by looking for an older model online. Whether you need the extras or not, Star Trac spinners are high-quality equipment.